Will Using Marijuana Jeopardize My Security Clearance? California recently made national headlines when it recently legalized the “recreational” use of marijuana for adults. But while California and several other states have taken a more welcoming approach to marijuana, the drug remains strictly forbidden under federal law. And any history of marijuana usages on your part, legal or illegal, may jeopardize your ability to obtain or retain a security clearance. Under Department of Defense guidelines for security clearances (Specifically, Security Executive Agent Directive 4 (“SEAD 4”), Guideline H; Drug Involvement and Substance Misuse), the “illegal use of controlled substances … can raise questions about an individual’s reliability and trustworthiness.” This is because (a) drug use demonstrates an inability to comply with the laws of the United States and (b) drug use often leads to “physical or psychological impairment”, among other reasons. Any amount of substance abuse can disqualify a person from receiving a security clearance, although applicants who acknowledge prior abuse and take action to “overcome this problem” may still receive favorable consideration. Just because you marijuana one time in college 20 years ago, that does not mean your application for a security clearance is doomed. 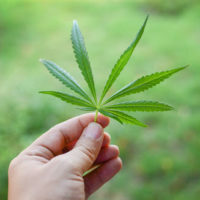 However, if you used marijuana for several years–even in places where permitted by state law–and continue to associate with people who use the drug, then you face an uphill battle. Consider these recent decisions from the Defense Office of Hearings and Appeals (DOHA) as cautionary examples. In the first case, a 49-year-old consultant for a defense contractor applied for a security clearance. He admitted using marijuana “in 1992 and again from March 2015 to May 2016.” During the latter period he held an interim security clearance. He also acknowledged continuing to “associate with a friend who uses marijuana,” although he said he had no intention of continuing to take the drug himself going forward. In the second case, a 32-year-old project management specialist for a defense contractor was denied a security clearance for two reasons, one of which related to marijuana use. Specifically, the applicant admitted that while attending a high school reunion in 2014, she smoked marijuana at a hookah bar. She said she had never smoked marijuana before or since, and her usage that night was “spontaneous” and merely a function of her curiosity. She further maintained she had no ongoing contact with her high school classmates. The DOHA judge agreed the applicant’s one-time marijuana use did not justify denying her a security clearance. The incident “occurred sufficiently long ago and under such unusual circumstances that it is likely to occur.” The judge also acknowledged the applicant signed a statement agreeing to automatic revocation of her clearance if she is found to use illegal drugs at any point in the future. One other critical difference in the two cases discussed above: the man who was denied a clearance represented himself before DOHA, while the woman who received a clearance had an attorney. Anytime you are dealing with an administrative or legal process–especially one that can have a profound impact on your profession and livelihood–you should work with an experienced Maryland security clearance lawyer. Call the offices of Henault & Sysko, Chartered, at 410-768-9300 today if you need immediate assistance with a security clearance matter.